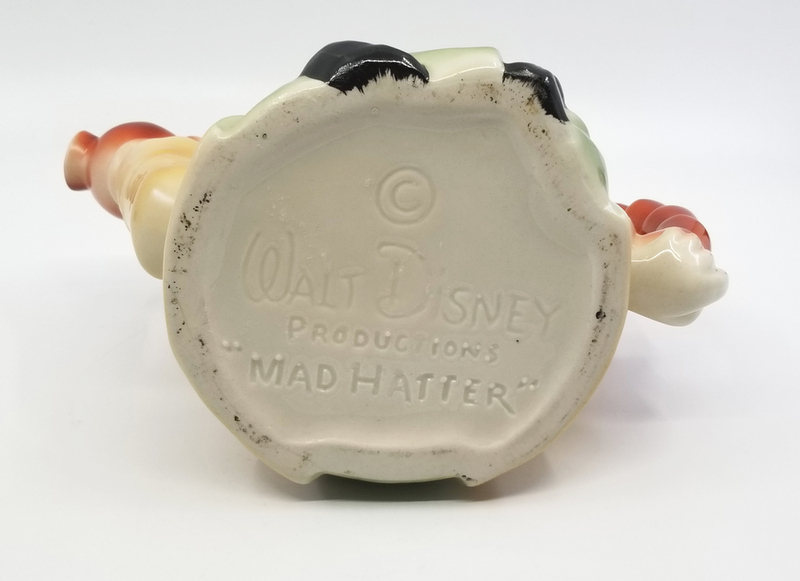 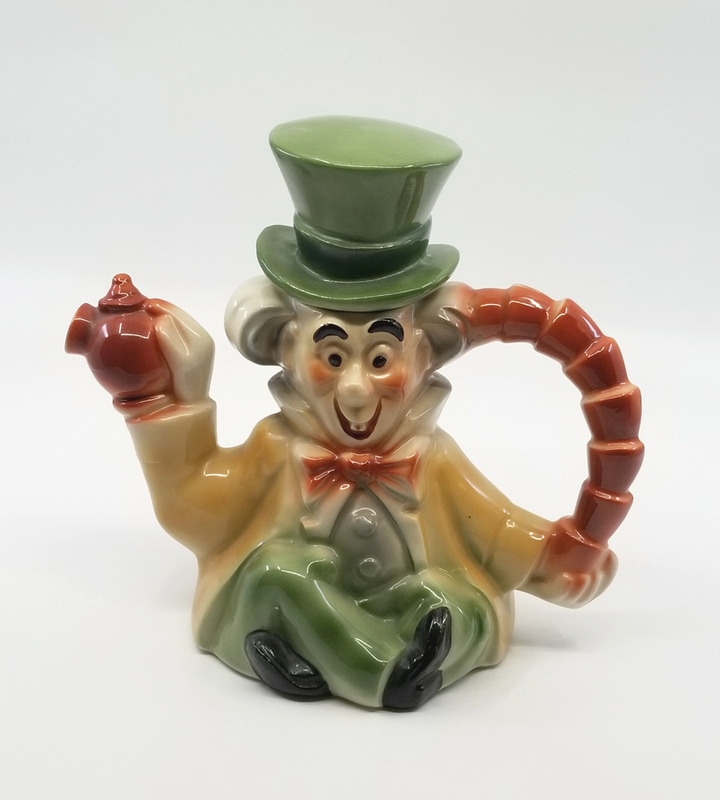 8" x 8.5" x 5"
This is a very rare and impressive teapot depicting the Mad Hatter from Walt Disney's classic animated feature, Alice in Wonderland (1951). 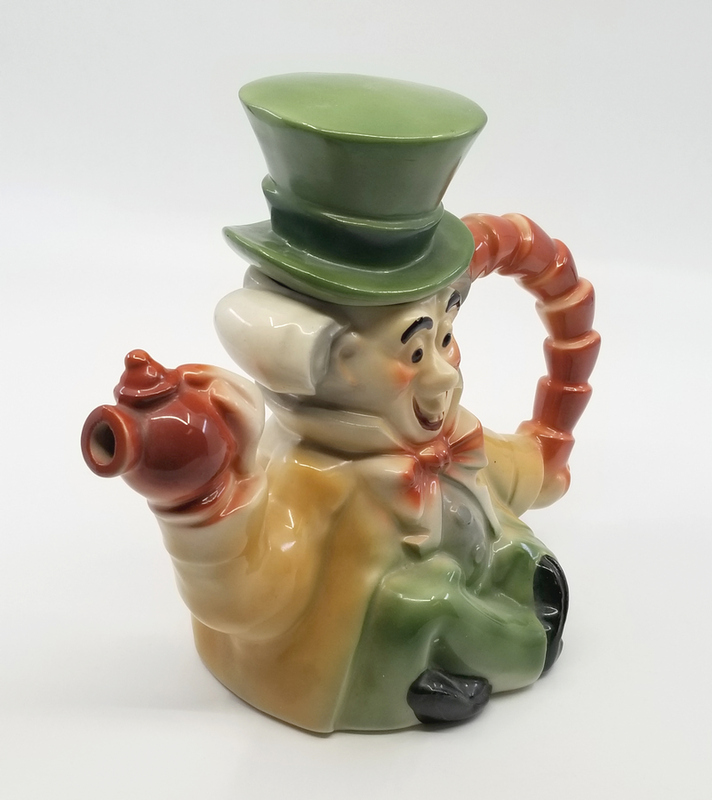 Regal China produced this teapot in 1951 at the time of the film's release. 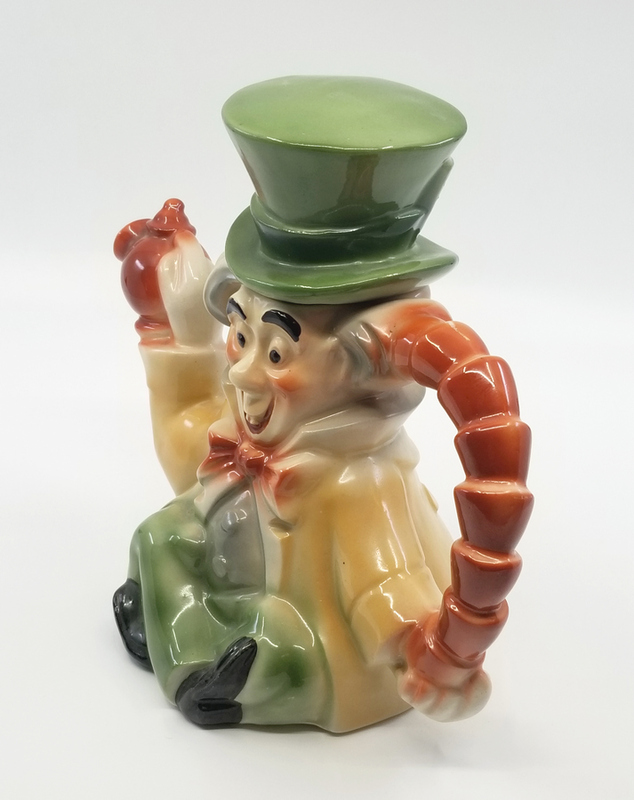 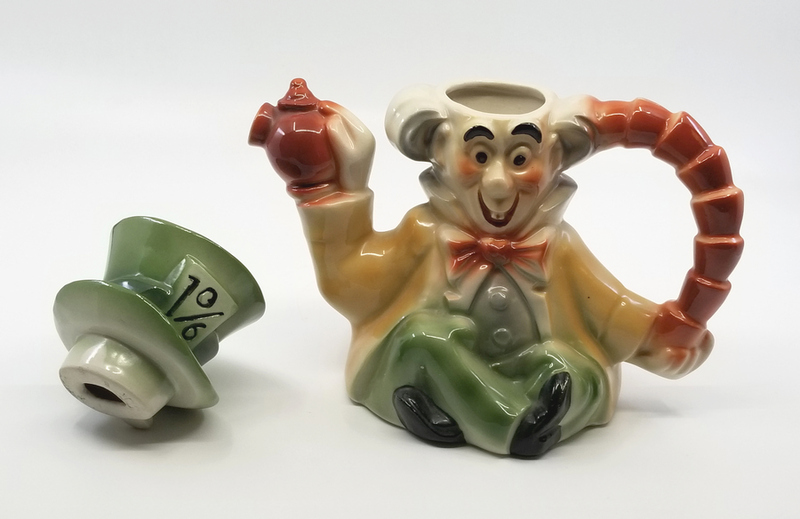 The teapot depicts the Mad Hatter holding a teapot in one hand (which constitutes the spout of the actual teapot), and a set of teacups stacked to conveniently form the teapot's hande in his other hand. 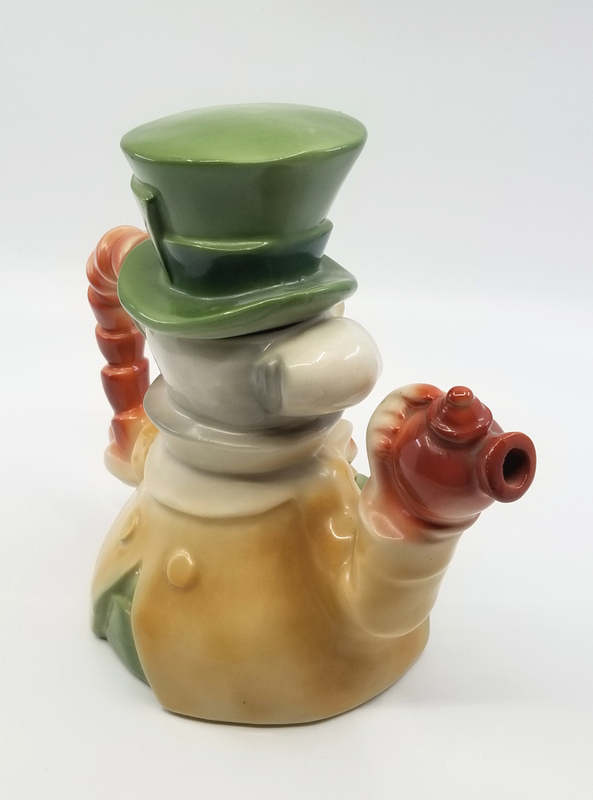 His iconic hat is removable to fill the teapot. 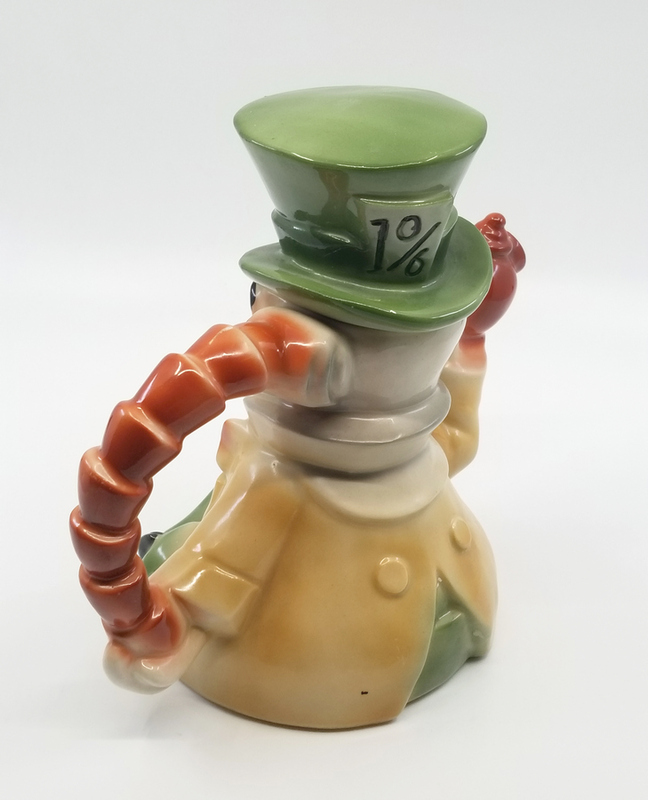 The teapot measures 8" x 8.5" x 5" and is in very good condition.